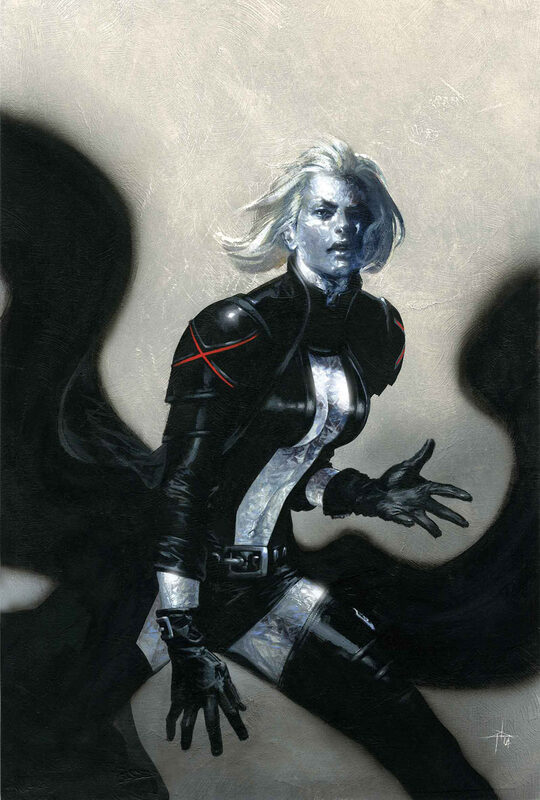 Original Sin, Marvel Comics’ summer blockbuster event book, has been full of interesting and layered mysteries surrounding the assassination of The Watcher. While this overarching plot element appears to be at the very heart of this title, it’s taken a backseat to the issue #4 WTF? reveal that Nick Fury is an old man living in a secret space station, and has been for quite some time. 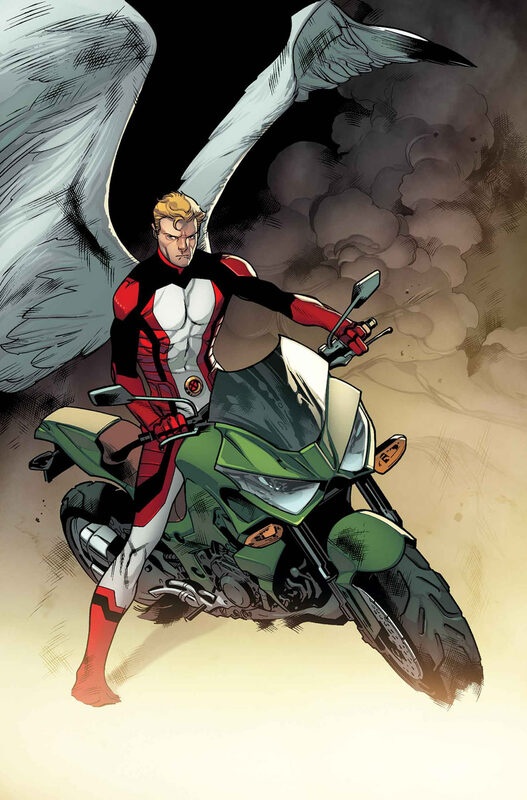 While this issue #5 explains away Nick’s sudden AARP qualification, as well as many of the mysteries established in Original Sin in earlier issues, the massive retcon to the character left me torn and more than a bit confused. This ish picks up right where the last ish left off, with a newly seen old-man Nick Fury explaining himself, and his oldness, to the oddball collection of heroes that followed the trail to his secret satellite hideout. We see Nick in 1958 fending off the Earth from an alien invasion, when up pops a jetpack clad unknown hero who kills the aliens, saves the day, but loses his own life in the process. Then, up pops Howard Stark (yeah, that one!) who explains to Nick that the jetpack guy was some sort of one man defender of Earth, and that his job was to defend the Earth from threats…all kinds of threats. Of course, Nick takes the job, and proceeds to wipe out underground baddies and space monsters alike, explaining away the previously seen dead underground monsters and space baddies. This series really needed some of it’s multitude of mysteries solved, and this ish did that and did it in a pretty entertaining way. Seeing Nick have Spider-Man in his sights early in the web-slinger’s career, yet stopping short of pulling that trigger was a nice addition to this unadulterated retcon, too, but it was still a retcon. Mike Deodato shines in this issue more than any in the series so far, and you can tell he really enjoyed drawing Nick Fury’s adventures of yesteryear. If ever there was a sudden, out-of-nowhere left turn of a story, this is hands-down THE example. The ish felt more like a Nick Fury One-shot than anything that had anything to do with the Original Sin event at all, except of course for the the fact that Nick Fury’s entire backstory has been retconned in order to shoehorn the guy into this story. I can believe that Nick has had a second job for all these years, and that aspect of this retcon is actually pretty intriguing, and has potential for some great stories in the future, but I have a serious problem with Nick Fury being an old man all of a sudden. Was he an LMD during Secret Invasion? What about during Secret Warriors while he was recruiting his Caterpillar Team? Was he just an LMD during the Secret War? It feels kind of like a kick in the balls that Nick may not have been risking anything at all in the past few years, and was simply The Wizard of OZ pretending to be badass from behind a curtain of badassery. I’m not sure if Nick’s use of LMD’s makes him a cooler character or a weaker character, but it’s definitely a retroactive-continuity change to the character, and one that I’m just not sure is necessary for anything else but to manufacture this story. And I just don’t see the point. 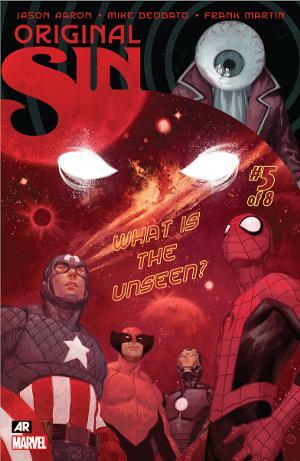 Although I’m not going to let a retcon ruin a story for me, and I’m still going to be picking up the next issue of the event, Original Sin #5 does nothing but explain away a couple of established mysteries through the establishment of still more mysteries. Which would have been just fine if the solution to these mysteries wasn’t an obscenely dramatic change to a character for the sheer reason of making the overall story work. Filling in Fury’s retconned backstory, while a necessity for the entire Original Sin story, was such a departure from the previous issues in the series that it felt like the brakes were smashed to the floor, and any momentum that had been gained is completely lost. This was a big speed bump for the series, but with 3 issues to go there’s plenty of time to save it, but it definitely needs saving after this ish. New Comics Wednesday is upon us again, and some of us here at Outright Geekery are running down the top pick on our comic stacks for this week. What are you looking forward to reading this week? STJEPAN SEJIC! Easily one of my favorite artist of Witchblade is back with a brand new miniseries on Image! Gifted? 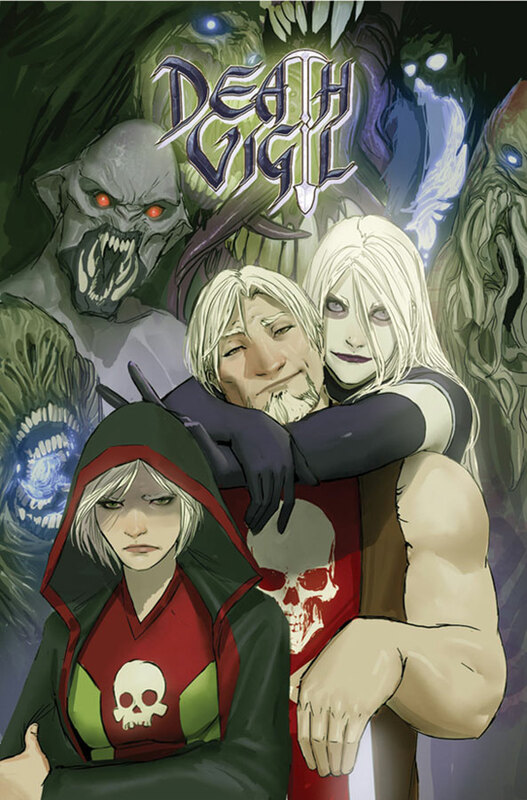 Join the Death Vigil in their ongoing war against the ever-growing power of the Primordial Enemy! The only catch is you have to die first. Become a corporeal immortal Death Knight and obtain reality-altering weaponry in the never-ending battle between good and evil. I’m intrigued and ready to pick it up are you? As an unabashed fan of Thor, I’ve got a keen interest in this story, which aims to introduce a fairly major change to the status quo. Introducing Angela as Thor’s sister could be either a great or a terrible idea, and this initial story will go a long way in determining which. In any event, I have a great deal of trust in Jason Aaron, and Al Ewing has been solid on the Loki book, so it’ll be interesting to see how this collaboration works out. 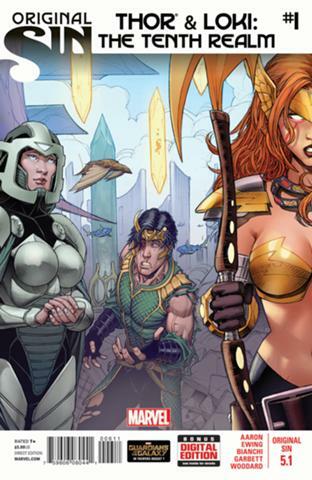 • Thanks to the events of ORIGINAL SIN, the deepest secret of the Nine Realms is revealed… a Tenth Realm! • Thor and Loki embark on a quest to discover this strange new world — and the sister Thor never knew he had… Angela! • But can Loki be trusted? And will brother and sister murder each other before the truth comes out? With Francis Manapul and Brian Buccellato on this title I knew the art was going to be amazing, but it’s truly surprising that the Icarus story-arc in the current run of Detective Comics is just a wonderful Batman story. With all the Bat-family showing up in Batman Eternal, and Batman proper being a tale of old, I’m really happy that there’s still a Batman book that just stars Batman in a fun adventure. It’s a light week for me, but there are still plenty of gems in my stack. Despite great potential in Original Sin #5.1 and amazing art in Detective Comics #33, I’m most looking forward to the siege of the New Xavier School continue in All-New X-Men. Bendis is teetering on the brink of a cliff of time-traveling tropes, and whether he makes it across or falls off the edge, it’s going to be interesting. Those are our picks, what’s on the top of your stack this Wednesday? 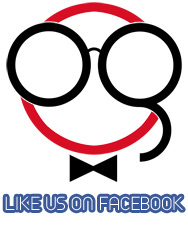 This post brought to you by Comix City Too! in Madison Tennessee, Outright Geekery’s local comic shop of choice. Check out everything coming out this week in stores here, and be sure to get out to your local comic shop. 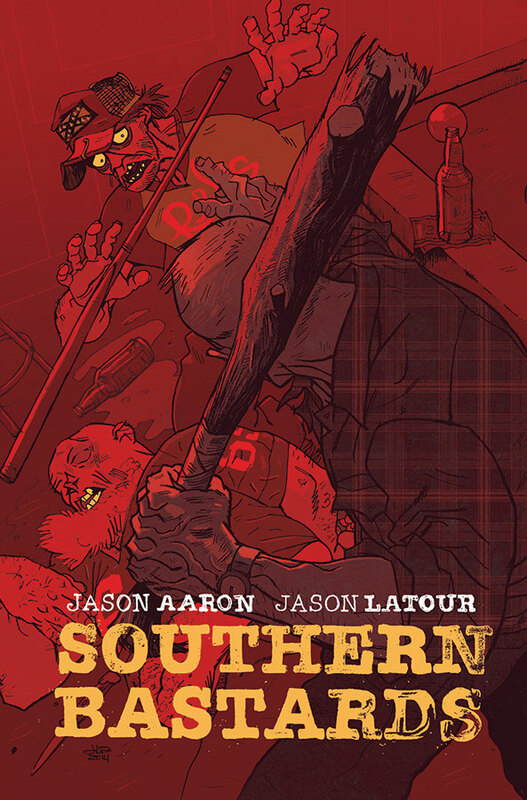 Jason Aaron and Jason Latour are at it with a strange very cool title. Welcome to Craw County, Alabama, home of Boss BBQ, the state champion Runnin’ Rebs football team…and more bastards than you’ve ever seen. Angry old Earl Tubb has returned to handle his family’s estate when he gets mixed up in somethings, the only way to survive a place like this…is to carry a really big stick. I’m been digging this title. 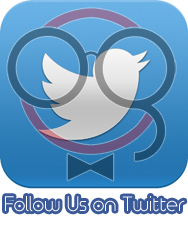 Its definitely worth checking out if you haven’t yet! Aaron the man writing Thor: God of Thunder and Latour writing Wolverine and the X-Men at Marvel, this is a wicked strange tale that’s definitely worth checking out, folks. Earl Tubb’s one-man war to clean up Craw County begins to rage out of control, as it claims its first casualty. Nathan Edmondson and Phil Noto continue to give strong work with each issue, with intriguing character work from Edmondson coupled with Noto’s stunning art. 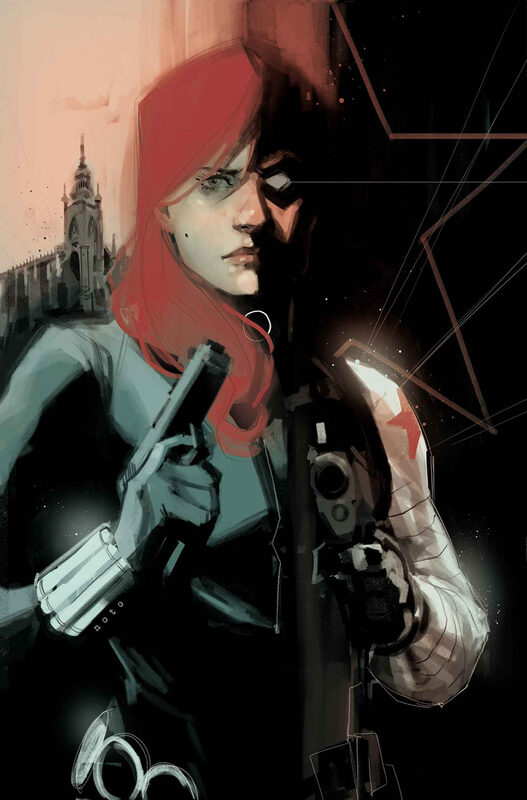 This week, we get to see a black ops team-up between the Widow and another Marvel’s premiere spooks (and yet another of Natasha’s exes), the Winter Soldier. This issue should be a lot of fun. DC’s weekly Batman book just keep getting better and better. All the Bat-family members are here; the multifaceted story is intriguing, and I just can’t wait to see where this book goes each and every week. 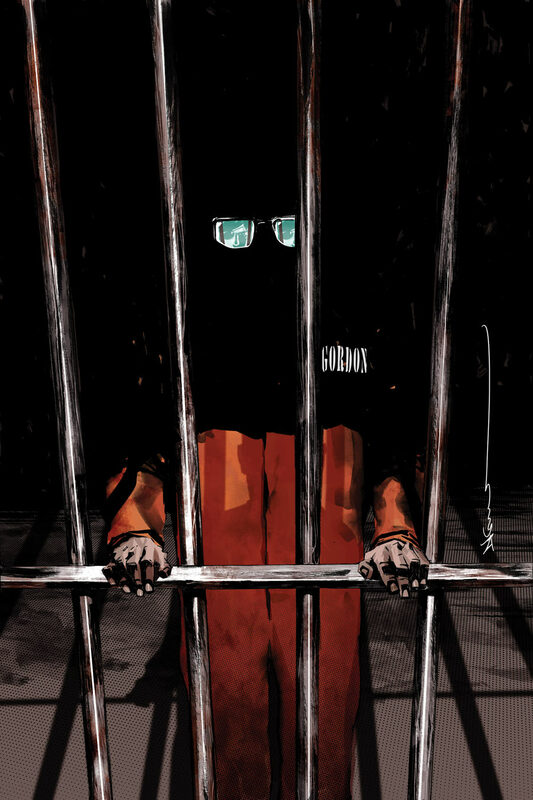 With an imprisoned Gordon being taken to Blackgate prison, Gotham’s Top-Cop is going to be in a whole mess of trouble, and Batman just doesn’t have the time to help him out. This is going to be a great issue! 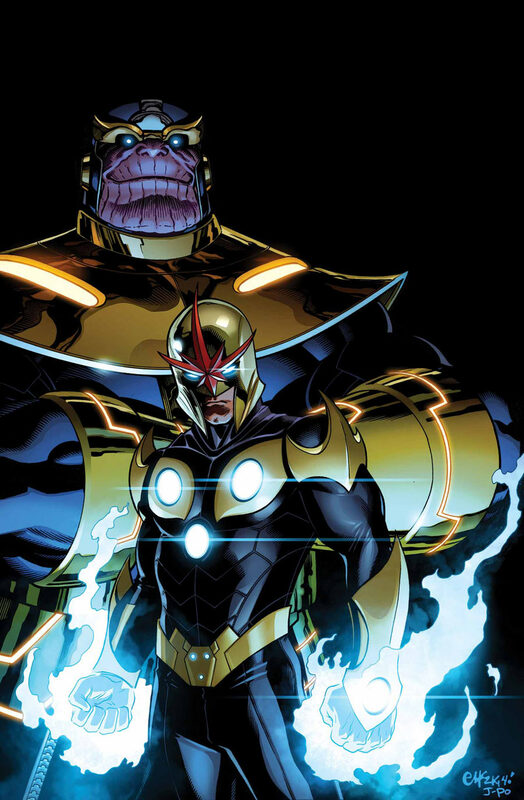 The reveal at the end of the last issue of Marvel summer blockbuster event Original Sin left a whole lot of readers’ jaws sitting on the floor, and I want, nay, need some answers. Just how long has Nick Fury been using LMDs to doppelgang his way around the Marvel U? And why let the cat out of the bag now? The layers of mystery keep unfolding in this title, and I’m ready to get some answers to my questions. Find out the secret history of the Unseen! What is the Original Sin? The last issue was beyond solid. The last page left my jaw on the floor. Is Ultimate Peter Parker Back? Will Miles’ father come back? Miles has a whole lot to figure out! David Marquez owns up to his new Young Gun title. Bendis has honestly yet to slow down on this title. I am super stoked for this issue. You should be! With our villains’ identities revealed, this issue will hopefully delve in to their motivations, all while our heroes are being exposed to some long-buried secrets. This issue should play an important role in fleshing out the plot of the overall book, and could go a long way towards establishing the event’s success or failure. • In the wake of last issue’s explosion of secrets, the heroes of the Marvel U are reeling, leaving Nick Fury to stand alone. • He Who Holds the Eye is still on the run, and now we meet his boss, the villainous mastermind behind the raid on the Watcher’s lair. It could have gone two ways with my pick this week, but since both of my choices are weekly books, there will be another one next week, so I flipped a coin and Batman Eternal lost out over The New 52 – Futures End #5. This title has been hit or miss in its first month, but the stage is set for something really big to go down in this issue. Mr. T is a badass mother – shut your mouth – and we hopefully see his evil, universe destroying tech this week. There once existed a time at Marvel Comics when labels like writer, artist, cover artist, storyteller, and the like weren’t so damned important. Steranko, Kirby, Ditko. Yeah sure, these guys are artists, okay. But you know what else they were? Amazing writers! There’s a certain quality that a comic book adopts when there’s one person – a single creative mind – doing EVERYTHING on a title, and that’s exactly what we’ve been getting with Kaare Andrews’ Iron Fist: The Living Weapon. I’m hoping that the same creative synergy Andrews has been gifting readers in the first two issues continues in this book, and I’ll find out first thing Wednesday. • Ninja nurses versus killers in suits! • Our villain’s face revealed, and it’s one terribly close to Danny Rand’s heart! I’m having trouble understanding Marvel’s latest event Original Sin. The summer blockbuster of a comic book event began with an overpriced #0 issue that seemed to be nothing more than a primer giving information about the very character that Marvel told us was going to be murdered in issue #1 of the event. Then issue #1, beyond setting up that plot-line of the overall story, established layers of mystery within the title that involved a shadowy character assembling small teams of heroes set forth on unknown missions. 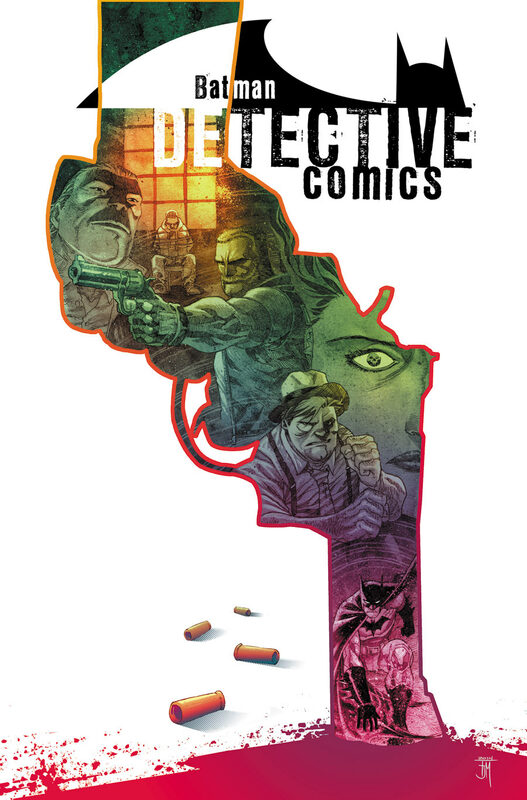 It was a fun and exciting departure from what was solicited as something that seemed like a traditional mystery story. While issue #2 picked up right where issue #1 left off, the radical shift in the mystery story seems to be taking the title in more traditional superhero directions, and it was an unwelcome surprise. The two most compelling aspects of Jason Aaron’s story – the mysterious and random team-up missions of several of Marvel’s heroes, and the overall mystery of Who Killed The Watcher? – are still at the focus of this issue. Seeing teams like Ant-Man, Emma Frost, and Black Panther, and Dr. Strange and The Punisher are just a whole lot of fun to see, and those elements of the overall story really help fuel the murder mystery in truly entertaining ways. Nick Fury’s chase scene with the rampaging Mindless One was exciting, albeit a bit over-the-top. Mike Deodato’s skill with character art really stands out in this issue full of just about every Marvel hero imaginable, but the culminating last page reveal really puts a question mark on what the hell this event is going to be. According to the solicits of this event, Original Sin promised to be all about the mystery of “Who Killed The Watcher?”, but the reveal of the Orb – the long-time Ghost Rider villain – as the holder of The Watcher’s eye and the assumed murderer in question throws all of that into a state of limbo. There’s certainly nothing cementing The Orb as the murderer, but the quick move the event took to alluding to this Z-List character as the event villain du jour is off-putting to say the least. Meanwhile, the crazy cool team-ups that drove issue #1’s success were put on the back burner in favor of this new and kind of awkward departure. Original Sin #2 was by no means a bad book, but it took a direction away from issue #1 that was unexpected in a way that leaves the reader wondering just where the event is going from here. I’m sure Aaron has a plan in place for the rest of the event, but this unsureness encompassing the overarching tone of the title, ie. 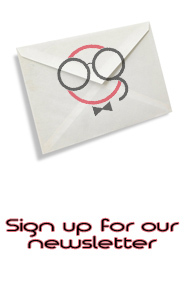 the mystery, leaves a question in the reader’s mind about just how much footing the event has. A slow, clunky start is not the way to sell an event early-on in the process, and it seems like a ton of the potential this title had in issue one was quickly taken away by the end of issue #2. Sure, Aaron can do away with all that within the first two pages of issue #3, but then what the hell was the point of this issue #2? Murder mysteries require there to be questions needing answers, but this event has way too many questions about the plot, and not enough supporting the plot.